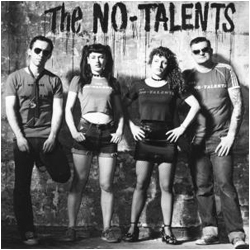 The No-Talents self titled LP. The Gits / Second Skin & Social Love 7" 45RPM "re-issue"
clear vinyl records from the 90's pressing, new color cover art by James Moriarty. Release Date: May 1st, 2013. 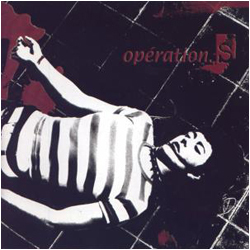 Operation S was Cecilia and Iwan's project after their beloved garage punk band The No-Talents broke up in 1999. They took their music in a powerful and melodic new direction, adding a keyboard and only singing in French. Their sole full-length sounds like a long-lost album from a late-'70s punk / new wave band. Broken Rekids has reissued a small pressing on red vinyl with a download card using the original parts as a companion to The No-Talents reissue..
Feederz / Ever Feel Like Killing Your Boss? A re-pressing of the reissue of the legendary and hard-to-catch punk rock classic from '83 reissued by the band for their own aims and purposes. All seventeen songs remastered to sound better than the original and closer to the way the band had imagined them, including their infamous "Jesus." Packaged with a Insert with lyrics, notes, and a comic, as well as 2 black pieces of sandpaper on the cover like the original version. This 2011 repressing uses the same parts as the one from 2000. The same plates were used in pressing and the same films were used for the labels, cover and insert. 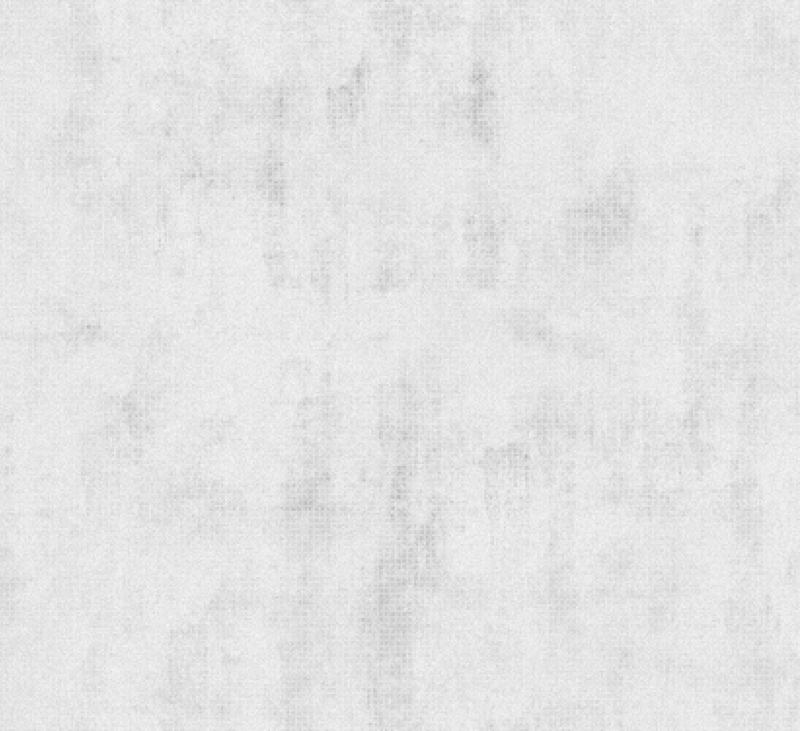 The only difference is you get 2 pieces of 320 grit sandpaper for the front and back instead of one! NOW AVAILABLE AGAIN ON VINYL!!! 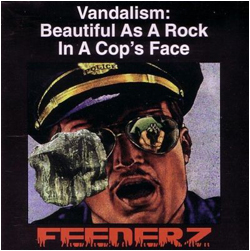 The long awaited third album from notorious punk rock saboteurs the FEEDERZ. Another classic window-smash of biting, rage-driven, radical punk that revels in the pleasures of rioting, looting, system-hacking, and general insubordination. Fifteen tracks in all. This 2011 repressing uses the same parts as the pressing from 2000. The same plates were used in pressing and the same films were used for the labels, cover and insert. 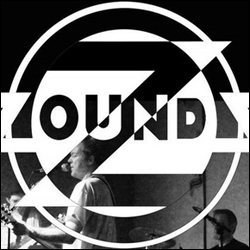 ZOUNDS Box Set "Singles & Eps 1980 - 84"
English anarchist post-punk band ZOUNDS had an altogether darker and more polished sound than that of their peers. 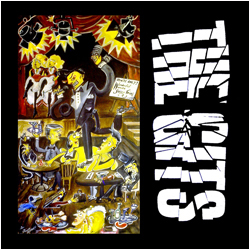 Formed in 1977, the group cut a demo and sent it to Crass, who signed them to their own label and released their 1980 debut 7-inch, Can't Cheat Karma. Rough Trade picked up Zounds for their next single, 1981's Demystification, and issued their sole LP, The Curse of Zounds!, in 1982. Two non-LP singles, the Mikey Dread-produced Dancing and More Trouble Coming Every Day, appeared later in the year. 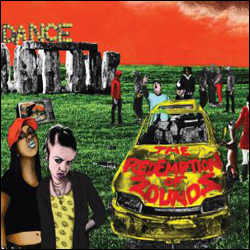 Zounds garnered critical acclaim, but their releasesslipped under the radar of most listeners outside the anarchist punk community. Exhaustion and dissatisfaction set in, and after a final EP, 1983's La Vache Qui Rit, the group called it quits. The deluxe reissue of Zounds' original 7-inch releases comes as a box set with a download card and buttons. All five records include exact replica sleeves. Care was taken in producing this set. The sleeve scans are sharp. Record labels same as originals w/ broken rekids logos tastefully added. The 1st single has the stapled in white sleeve with posters on same weight of paper as orignals. Music remastered by Steve Lake. REISSUED ON VINYL!!! 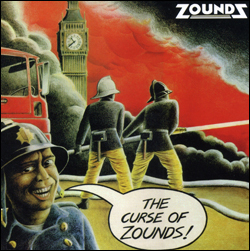 A reissue of the 1982 The Curse of Zounds! LP. Recorded and mixed in just five days, the album is a classic unlike anything else at the time. Incredibly dense and claustrophobic, it captures the paranoia of post-hippie counterculture and its effect on the human psyche with startling poignancy amid the superficiality of most other punk from that era. This deluxe reissue of The Curse of Zounds! features a tip-on-style jacket, printed inner sleeve and download card. It marks the first time the LP has been available in its original format since 1982. REISSUED ON VINYL!!! 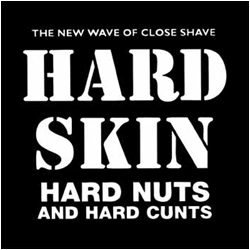 HARD SKIN's Hard Nuts and Hard Cunts is the brilliant and groundbreaking debut album from one of the fiercest Oi! bands to emerge from the streets of London. First released on Helen of Oi! in 1996, it was an instant street-punk mega-hit embraced by skins, punks and herberts alike. Thanks to renowned NYHC imprint Broken Rekids, this classic platter is once again available on vinyl. Comprised of JOHNNY TAKEAWAY (vocals, guitar), FAT BOB (bass, vocals) and NOSHER (drums, vocals), Hard Skin have toured every corner of the globe, performing their unique brand of brickwall Oi! for rabid fans the world over and releasing critically acclaimed, chart-topping masterpieces such as Same Meat Different Gravy and Live and Loud! & Skinhead. Packaged in deluxe tip-on jackets with digital download coupon. Includes bonus material not on the original release. For the first time the Hard Skin USA version of the lp is available on regular black vinyl not a Picture Disc! It has one extra track not on the various other editions of the LP. The Jacket is an Tip On old style heavy card board jacket. The insert has been changed to an inner sleeve. Finally the packaging of this great release lives up to the music of this Gipsy Hill combo! DADFAG's soaring and orchestral creations are the work of two guitarists (EVA HANNAN, DANIELLE BENSON) and one insane drummer (ALAN MIKNIS). Since forming in 2008, the band has released a pair of albums, touring the States last year in support of their Broken Rekids LP, Scenic Abuse. Probably, their third full-length album, is yet another Lego in Dadfag's growth as an amorphous yet sweetly desirable San Francisco staple. Look for the three-piece touring the East Coast later this year. 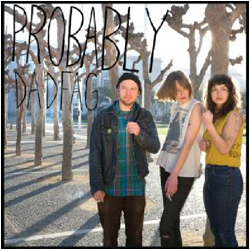 "Dadfag is more than a little reminiscent of Sonic Youth. Discordant, deliberately weird, intended to discomfit. Their first Broken Rekids LP Scenic Abuse feels kind of like a time capsule from another era. With vocals that at times are downright disturbing and occasionally creepy lyrics, it's not exactly easy listening, but it is interesting. The occasional melodic similarity to 1960s girl band tunes is an unexpected element." Songwriter and lead singer Steve Lake has reunited Zounds only intermittently since the bands early 80s heyday, despite receiving numerous requests to record and tour. classic template: incisive lyrics, sharp guitars, satirical overtones, emotional terror and great, memorable tunes. It sounds totally at home in a modern world that Lake says is as bewildering, absurd, tragic and joyful as it ever was. Questions about an on-line order? 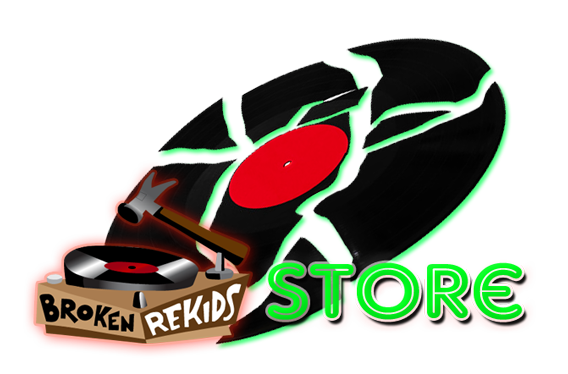 You can also visit our mail order partners at Midheaven.com to check out MORE Broken Rekids on vinyl or call (415)241-2437. ✔ That number and email may only be used for questions about a placed order, sorry no stock checks.